From artist JP Valderrama! 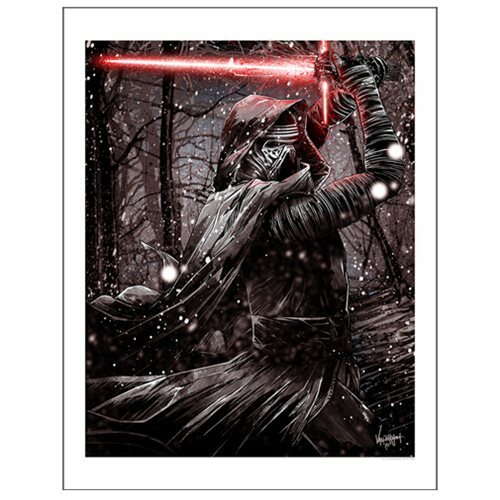 This Star Wars: The Force Awakens Kylo Ren by JP Valderrama Paper Giclee Art Print is a beautiful rendering of Kylo Ren in the snow, lightsaber at the ready. A limited edition of 100 hand-numbered pieces! Measures 19-inches tall x 15-inches wide.